Landing1 — Nobias - Track media bias, credibility, authenticity, and politics in the press you read. Burst your filter bubble. Nobias tells you the political slant and credibility of any news article before you read it. Finally, an answer to fake news. Hover over the paw prints to see the political bias and credibility before you read it. Nobias give you back control of the news you want to read. 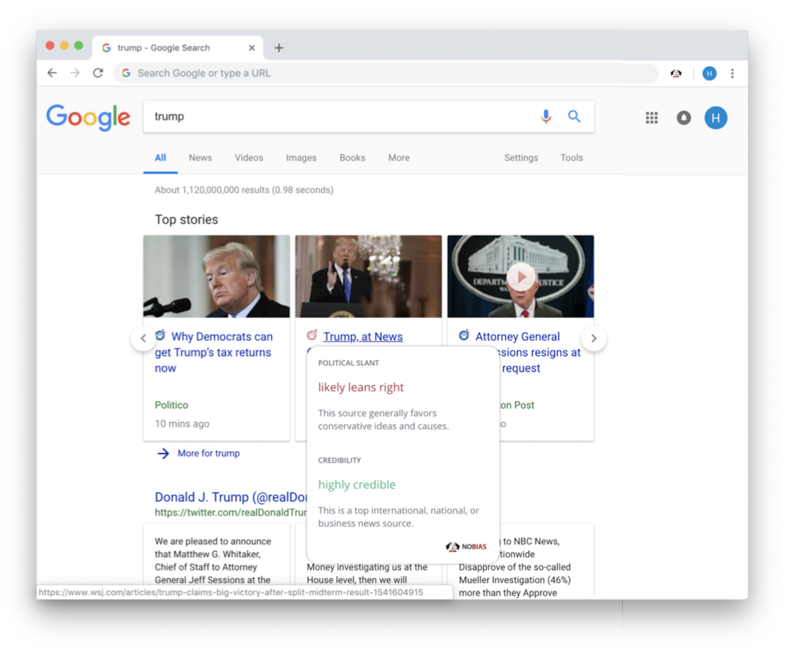 The more you use it, the better trained Google and Facebook's algorithms will be to give you the news you want to see. The smart way to consume news. Be aware of what you read, like, and share. Ensure you're not reading any fake news. Be an informed digital citizen, cognizant of what you're sharing with your friends. Balance your consumption of left and right news.